Some teachers in the district are using a website by the name of Quizlet. It’s a very powerful flash card application that gives you a lot of options for working with flash cards. I took a moment to try it myself, and I’m very excited to share what I found. Signup is easy, and once inside, you’ll be presented with a dashboard that allows you to jump right in and start making content. Here’s what a new set of flash cards looks like. 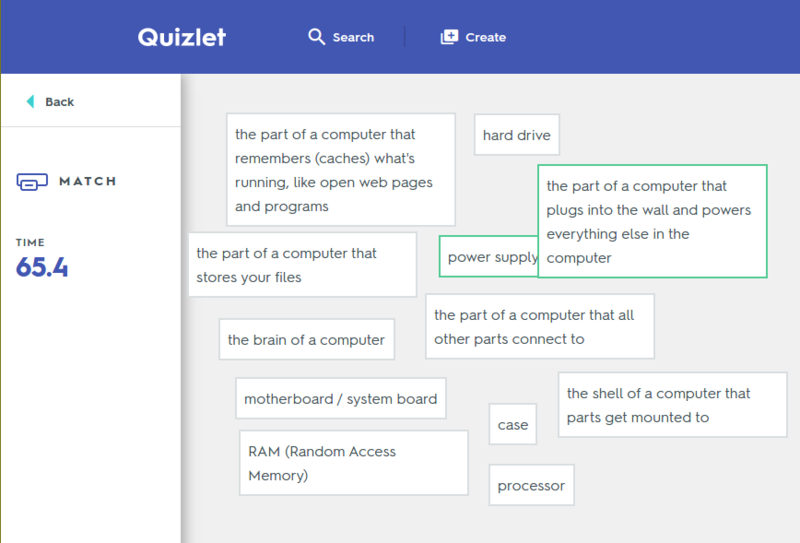 Quizlet is free, but some of the more advanced features are only available with a paid subscription. The free level still allows you to create quiz sets, and use other people’s sets. 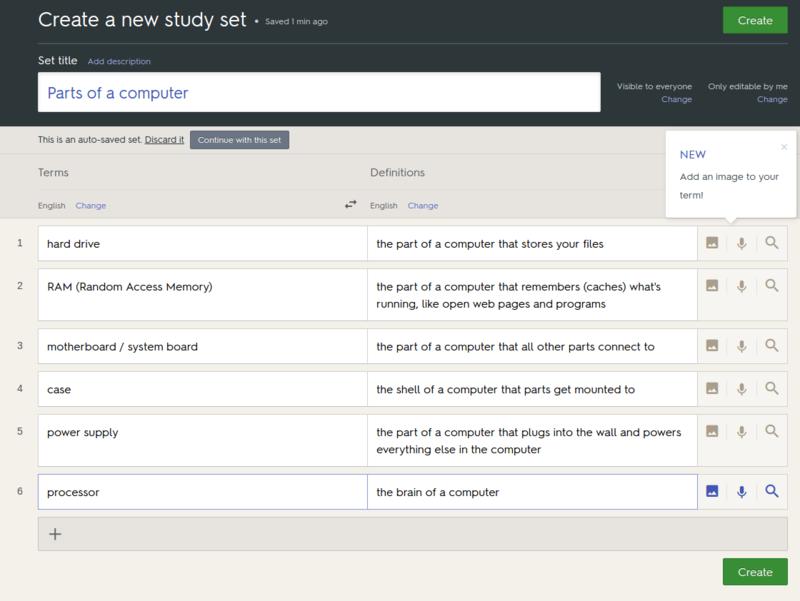 The paid version lets you add pictures to your quizzes and better control larger groups. My favorite feature of Quizlet is the set of games they offer. It’s one thing to look through some flash cards and try to memorize them, it’s another to delve into an interactive puzzle with your words and definitions where you have to put the pieces together. Once you’re a little more comfortable with the content for a topic, there’s even more gamification waiting for you. 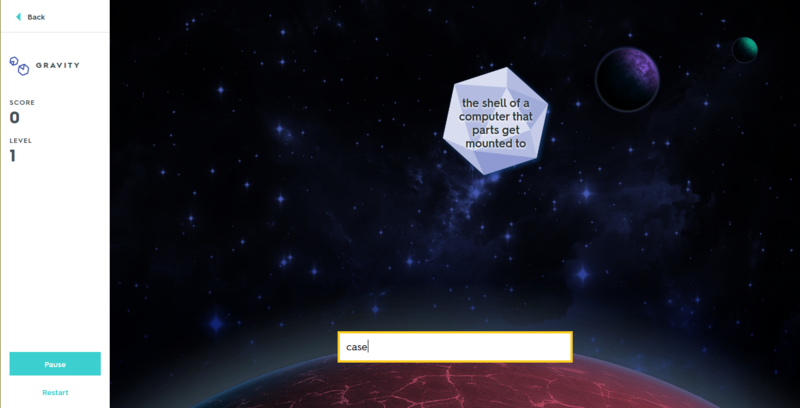 In the “gravity” game, you’re given a keyword or a definition, and you must try to type the answers as they fall from the sky. 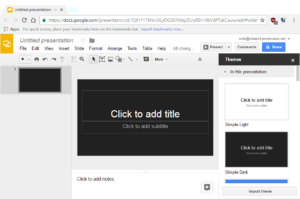 For our video project in 6th grade at LeTort, we used Inkscape to make titles and slides. Inkscape is an open source illustration tool that is surprisingly powerful. 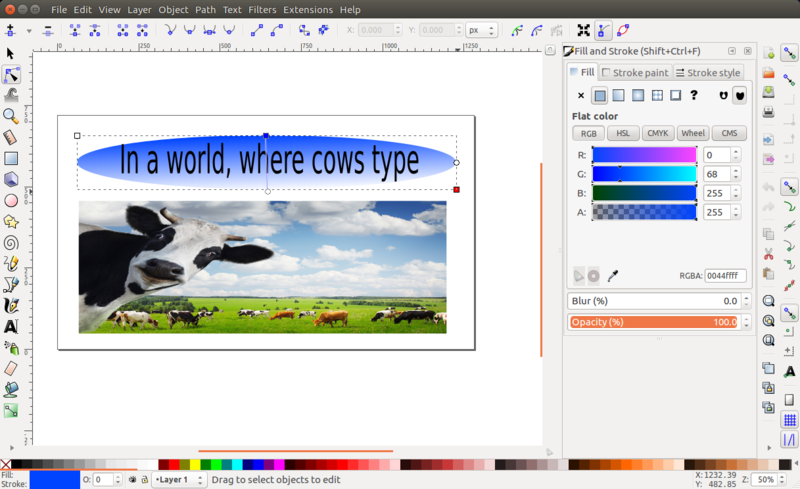 Some open source graphics programs are ages behind equivalent Adobe products, but Inkscape is an exception. Students learned how to create interesting overlays and titles in Inkscape that they will use for their current video project. Computer illustration uses vector graphics. Unlike a photo, vector graphics use points and geometry to draw lines and shapes. Graphics made in vector are infinitely scalable. Below is a title slide that one of the students is working on. Notice the controls they have for choosing colors, size, and direction. Learning illustration will be a very valuable tool for these students for many future projects in middle school, high school, and beyond. It’s exciting to see their ability to jump in and start creating content like this so quickly.